Today I would like to introduce the delightful Gabrielle who likes Jim Jams and Dave Matthews songs. This girl is going to be a character when she grows up – I can tell! My name is Gabrielle and I am 3-1/2 years old. My mommy’s name is Kelly and she is helping me tell you about my daddy today because he’s at work. My daddy’s name is Kris and I call him Daddy. I love my daddy because I like his Jim Jams, and I like gardening with him. My favourite book to read with daddy is Chicken Little. My favourite song to sing with him is You & Me Together, Tripping Billies, Mercy, So Right (Dave Matthews songs). I laugh out loud when Daddy when Daddy tickles me and when he toots. My favourite thing in the world to do with my daddy is going to the park. This summer, me and my daddy are going to make funny faces. 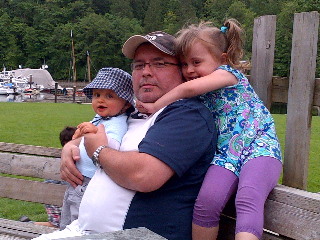 My daddy rocks because he gives big squeezes. Thanks you to the lovely Kelly Krol for sharing her adorable daughter with us! 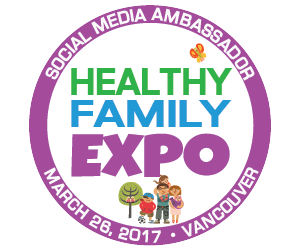 You can find Kelly on Facebook where she dishes on life as a mom as Backhanded Mama and shares info for parents as Raincity Parent. 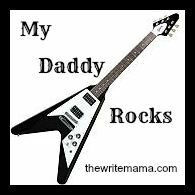 If you know a Daddy who Rocks, be sure to email thewritemama(at)gmail.com for more information. Aww, this is so sweet. It’s always so sweet to see how children see us parents through their eyes. This is way too sweet! What a sweet post! We love Dave Mathews Band over here too … thanks to Daddy!